Innovation starts with our LuxiGenTM platform. The remarkably powerful output from our small packaged light sources allows for freedom of design wherever high-flux density, directional light is required. With secondary optics specifically designed for our light sources, LED Engin aims to enable different lighting applications with their unique needs. LuxiGenTM emitters are built with a patented high-power density package design. The multi-layer ceramic substrate is CTE matched with the die providing a stress-free environment to maximize power density and reliability. The unique die attach process minimizes thermal resistance allowing our products to be driven reliably at higher currents. These design features combine to enable our compact, multi-die, high flux density product families. Color Temperature uniformity is important both initially and over time. LuxiGenTM technology platform is proven to minimize the shift in CCT over time with color point stability shifts of less than 0.001 duv - 7x better than demanded by Energy Star requirements! With LuxiGenTM emitters, you have the confidence that the white color will be constant over the life of the product. The stress-free package design and selection of materials make LuxiGenTM products the most robust and reliable products available. Because of the low thermal resistance, the LED die can be driven harder than competing products while staying below Tj maximums and with L70 estimates between 70,000 and 100,000 hours. Gain access to the most advanced high-power LED packaging technology, emitters, and modules. Achieve record product development time and accelerate their time to market through close collaboration with LED Engin's fast-moving and highly talented technical team that supports customers as top priority. Realize system level gains by designing SSL products with LED Engin recommended solutions. The multi-layer LuxiGenTM ceramic substrate is CTE matched with the die providing a stress-free environment to maximize power density and reliability. The unique die attach process minimizes thermal resistance allowing our products to be driven reliably at higher currents. These design features combine to enable our compact, multi-die, high flux density product families. For our phosphor converted products, the high precision phosphor deposition process improves color uniformity and enhances the lumen maintenance and color stability over time. The interlocking glass lens caps off the robust package design providing a barrier resistant to contamination and degradation. LuxiGenTM emitters are also incredibly easy to work with and integrate into your application. 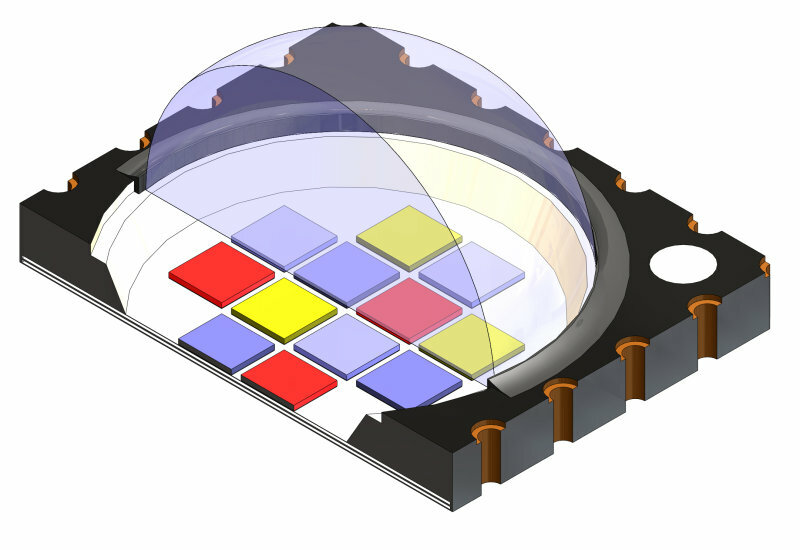 With a complete range of solid state lighting options- emitters, optics, MCPCBs - and a wide range from UV to IR and white, as well as power levels and beam distributions, our solutions enable rapid and cost effective development of fixtures and specialty products without compromising light density, quality, control, or freedom. Together, with our expert support staff, no one offers a better return on investment for your solid-state lighting application.